The following excerpt is the first portion of Read Mercer Schuchardt’s piece, The Reformation as Media Event. This excerpt explores the ways in which Johannes Gutenberg, a devout Catholic, was interested in manufacturing technologies of religious devotion, and how the Printing Press was a natural spiritual heir to the Pilgrim’s Mirrors he was previously producing. A version of this paper was published in The People’s Book: The Reformation and the Bible in April 2017, which was itself a print version of a talk given in 2016 at the Wheaton Theology Conference. 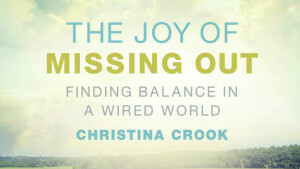 The book can be purchased here and the video can be viewed here. Johannes Gensfleisch zur Laden zum Gutenberg was born at the end of the fourteenth century in Mainz, Germany, the youngest son of Friele Gensfleisch zur Laden, an upper-class merchant and goldsmith who worked in the ecclesiastic mint, and his second wife, Elise Wyrich, the daughter of a shopkeeper. 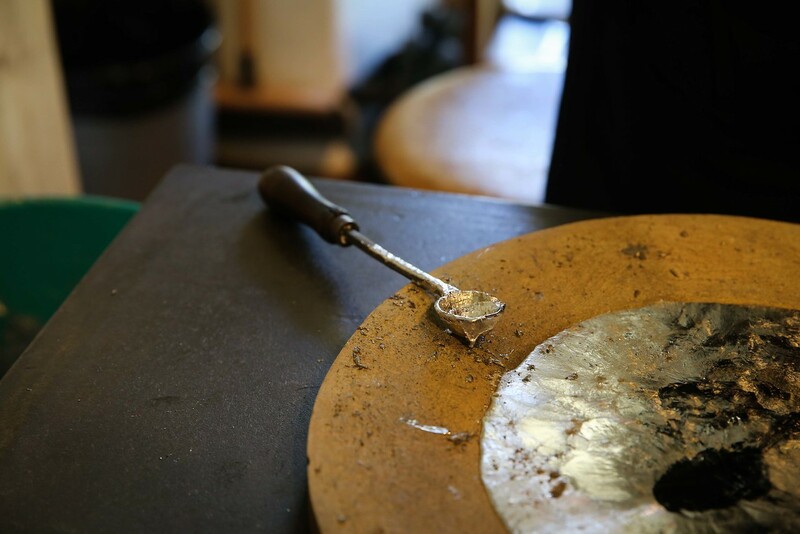 He grew up knowing the trade of goldsmithing and the trade of selling things. Very little is known about his early life, and much of what we do know, from 1434 and beyond, largely stems from legal disputes involving his name. In 1419 his father died and he is mentioned in the inheritance proceedings. In 1439 he was involved in a new business enterprise aimed at manufacturing Pilcherspeigal or “Pilgrim’s Mirrors” for sale to pilgrims on the Aachen pilgrimage of 1439, at the Cathedral of Aachen where the church was planning to exhibit its extensive collection of holy relics from Emperor Charlemagne. The focal point of what was known as the Aachen holy relics pilgrimage was the veneration of four textile relics. These were parts of the gown of the Virgin Mary, the swaddling clothes and loincloth of Jesus, and the beheading cloth of John the Baptist. From the mid-14th century on, these four relics were displayed publicly every seven years. Initially they were displayed inside Charlemagne’s Cathedral in Aachen. However, when the number of pilgrims continued to increase (several tens of thousands daily), a special display scaffold was erected on the facade of the cathedral. Owing to the great distance, most pilgrims could not see the relics clearly any more. However, this did not reduce the number of pilgrims, as they believed in the miraculous effect of the relics from a distance. With the display of the relics from a distance, what became known as “Aachen pilgrim’s mirrors” were developed. These were held up during the showing of the relics as it was believed that with their help, one could catch the miraculous rays of the relics and take them home. 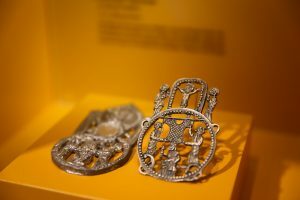 These were not mirrors in the modern sense of the word, but rather small perforated plates made of lead or pewter. Starting in the mid-15th century these consisted of three interconnected circles. The circle at the bottom featured the Virgin Mary of Aachen, above her the Virgin’s gown borne by clerics and the topmost circle portrayed Christ’s head. The smallest, middle circle contained the mirror proper. Pilgrim’s emblems were among the first truly mass-produced articles; their production was very profitable and thus strictly controlled and usually restricted to the place of pilgrimage. The huge demand by the Aachen pilgrims, however, could not be met by the manual production of local craftsmen — mainly goldsmiths and stamp cutters. Hence, for a limited time during the pilgrimage, non-residents were also allowed to produce the pilgrim’s emblems and sell them in Aachen. Gutenberg utilized this special regulation and established his association for the production of Aachen mirrors that were intended for the pilgrimage of 1439. As these could only be sold within a limited period and competition was expected to be very strong, this was a financially risky enterprise. Nevertheless, the project promised to be very successful as Gutenberg very likely used a rationalized production method he had developed. This was a type of stamping and embossing process that offered quick and inexpensive reproduction. The purpose and nature of the mirror was to capture a ray of holy light that would emanate off of the relic, onto the bag or clothing of the pilgrim, attached to which the pilgrim’s mirror would “capture” for all eternity this ray of holy light, and thus imbue its possessor with a remnant from the fairy tale world (to use Bettelheim’s words), to grant the viewer a portion of the aura of the object (to use Walter Benjamin’s words), or to impart a perceptual keepsake of the experience. You could think of this very much the way a digital camera “captures” your experience at a live concert. You don’t get to re-experience it by looking at the keepsake, but you do get to certify that you were there, that it happened, and that it was significant. And of course, one of the primary products of Gutenberg’s new medium was the famed Gutenberg Bible. Particularly when considered within the context of technologies of religious devotion, such as the Pilgrim’s Mirror, the reverence toward the new Art and Adventure technology grew from the understanding that it presented not only a “ray of light” from the mirror of the platen of typeset letters, but that its actual content was the “ray of light ” known as God’s word. Even to, and perhaps especially to, the predominantly illiterate population of the day, this kind of access to not just religious artifacts or relics, but to religious “source material” must have been nothing less than astounding. 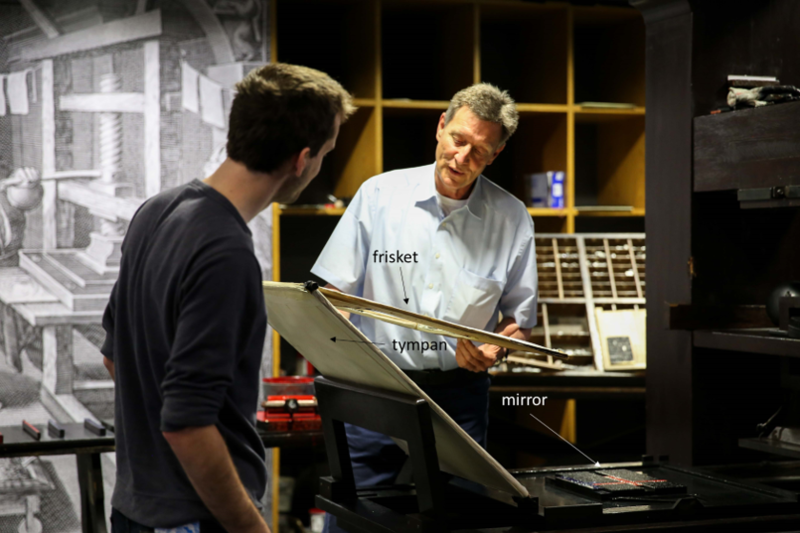 The second mirror in Gutenberg’s printing press is the actual tympan that held the paper, that when folded over on with the frisket that masked the areas not to be printed on, created an overall section called “the mirror” that would receive the impression from the typeset letter pieces. 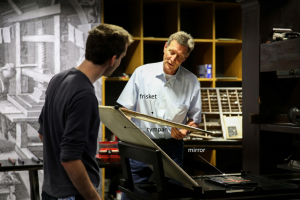 This was the very spot that would receive the “mirror image” of the platen that held the arranged type. Thus we see, in the move from his pilgrim’s mirrors to his printing press, Gutenberg is actually moving from a “spiritual” mirroring of a sacred relic – by the imagination of the bearer – to the physical mirroring – by physical duplication of the page – of a sacred text. It was in the context of this mass reproduction of words and texts that the words “stereotype” and the onomatopoetic “cliché” received meaning, referring to the plates and blocks which held the mirror image of the text. 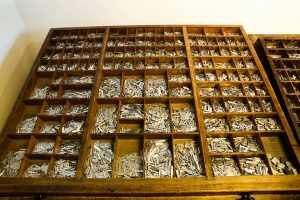 Perhaps the etymological trivia that traces our word for hollowed out truisms back to Gutenberg highlights the greatest contradiction of this invention; in his zealous attempts to further venerate scripture, Gutenberg created the machine that would allow for its greatest devaluation via overabundance. Value, after all, is a function of scarcity. Yet, for Gutenberg, this use of his mirroring/duplicating technology must have seemed magical indeed; he described the idea of the printing press himself as “coming like a ray of light.” As McLuhan put it, “In the sixteenth century and after, many God-fearing readers were sure that the ‘inner light’ emanated from the black ink of the printed page.” In David D’Angers 1839 statue of Gutenberg in Strasbourg, France, Gutenberg holds a page from his press with the inscription, “Et la lumiere fut” (And light was made). This metaphor carries right down through to Calvin’s Geneva, where the inscription of his and the other founders’ statues reads, “Post tenebrae, lux” (After the darkness, light). Gutenberg’s father was “a member of the Mainz fellowship of coiners” according to Burke, p. 113. Gutenberg, Man of the Millennium, p. 169. There is some uncertainty as to the reflective or “mirrorlike” qualities of the pilgrim’s mirrors. Some texts suggest they are mirrors in name only, while others claim that highly polished metal or glass would have been in place in the center sphere. In any event, the German guild of mirror makers was not established until 1514, according to Gutenberg, Man of the Millennium, p. 170. McLuhan, The Medium and the Light, p. 90.